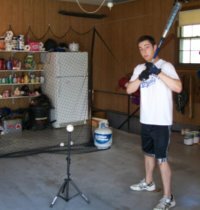 Coaching Youth Baseball - Should I? 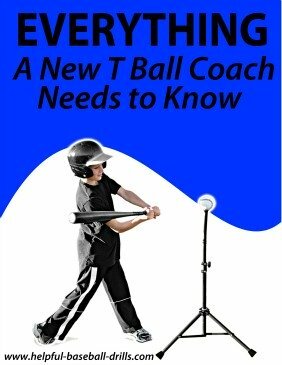 If you are considering coaching youth baseball I’m glad you have taken the time to do some research. There is not a long line of parents waiting to coach little league baseball. Coaches who are right for the job are very much needed. Too many dads and moms are forced into coaching just because there is no one else available. And you can only make the best decision for you and child if you know the pros and cons of coaching youth baseball. Almost everyone knows something about the game of baseball. But you are wondering how will I pull this off? I have no clue what to do at a baseball practice. I Don’t Know How to Run a Practice? Since you are finding this information on the internet, I know you have access to all the information you will need. I have yet to see the situation where a parent’s first coaching job was for a high level team requiring in-depth drills. On this website alone are dozens of team practice drills. We have all the information you need to prepare your team. 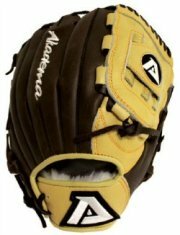 And also on this website are dozens of individual drills for hitting, throwing, fielding and pitching. So lack of information will not be your problem. But is coaching little league baseball for you? I’m going to start out with the number one reason I started coaching youth baseball. I knew who my son’s coach was going to be (me) and how I would coach. Look hard in the mirror on this one. There are some real jerks out there coaching kids. While these jerks are in the minority, do you want to chance getting one? Ask yourself how you will react when a player screws up in a game. 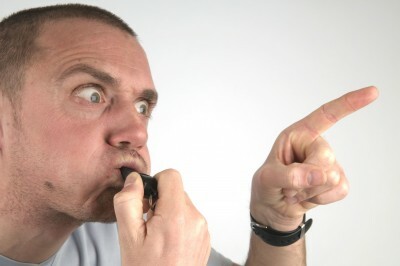 Hopefully you can honestly say that you will be able to stay calm and not start screaming and yelling at the player. If not, then turn down the job. There are plenty of screamers on the youth ball fields already. But if you said yes to that question, here is the next question. Can you honestly say that you will be able to stay calm and not start screaming if your son screws up in a game? Take plenty of time to answer that one. That’s the one question I see most coaches did not ask themselves. Oh, they are great with every other kid on the team. But they build a big bridge between them and their own child. And I don’t think that is what they were hoping for when they got into coaching youth baseball. Give this question plenty of time and thought. Moving on, another big pro to coaching is helping kids learn teamwork. If you provide your team with a positive attitude and lots of hard work, then they will become a tight group. Led the right way, your teammates will help each other and pull together. And along that same line of thinking, helping and seeing kids improve is worth all the time and effort you will put into coaching. And like I said before, there is plenty of information on this website to provide you with the tools to coach kids. And if there isn’t enough here, there are thousands of other baseball websites you can research. And the last pro I will mention is the joy of helping parents that don’t know anything about baseball. Their child wants to play, but they are so worried about getting one of those jerk coaches they lose sleep at night. They meet you and see you in action and are trilled. You now have a friend or friends for life. Parents admire teachers and coaches who treat their kids right. Now let’s talk about the cons and yes there are many. The first and worst con is demanding parents. Some are demanding to you as the coach. They want Johnny playing shortstop and batting in the clean up spot. These parents are easy to deal with, but they usually try to take up a lot of your time. They will call after every game and sometimes after every practice. You just have to stand your ground and try to keep them from being a cancer to the other parents. If they are mad, they will bad mouth you to everyone. But if everyone else is happy, no one will listen. The tough demanding parents are the ones who are demanding or hard on their own child. It is not always easy to pick out these parents. You usually have to be on the lookout for them. But they can make a child’s like miserable. Don’t ignore this type of situation, but handle with care. You are jumping in between a parent and their child. Walk carefully. 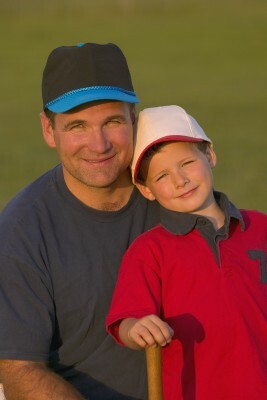 Another big con about coaching is that it will take time away that you could have spent one on one with your child. Coaching youth baseball with take more time than you may think. 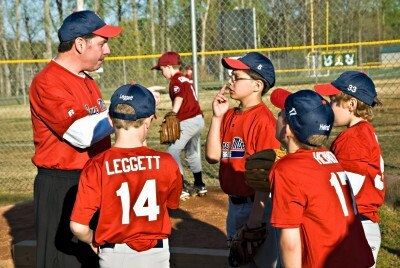 Many parents like to chat with their coach either after practices or games. Or many like to call on the phone at night. Emailing has helped this situation somewhat lately. You can usually read an email and respond in less time than a phone call takes. Those are the pros and cons as I see it for coaching youth baseball. My last word is that deciding to coach my sons was one of the best decisions I ever made. It is not right for everyone, but for me it was the right decision.